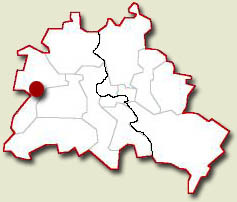 The compound was located on Wilhelmstraße in the district of Spandau. The prison was built in 1876. It initially served as a military detention center. From 1919 it was also used for civilian inmates. It held up to 600 inmates at that time. On July 18, 1947 seven Nazi war criminals were brought to the Spandau Prison. They were sentenced at the Nürnberg Trials. Rudolf Hess, Walther Funk, and Erich Raeder faced life sentences. Albert Speer and Baldur von Schirach faced a 20 year sentence while Konstantin von Neurath had to serve 15 and Karl Dönitz 10 years in the prison. Dönitz, Speer, and Schirach served their full sentences. Neurath, Raeder and Funk were released earlier due to their ill health. From 1966 on Rudolf Hess remained the only prisoner at the Spandau Prison. The four powers took turns in guarding the prison. 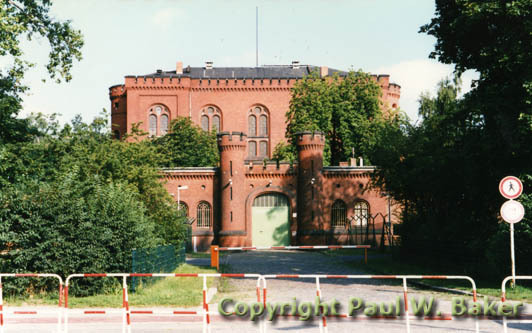 Despite the tensions between the Western Allies and the Soviets the guard duty at the Spandau Prison was never interrupted. The sentries were manning six towers arround the prison. 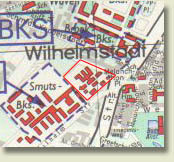 Since the prison was located next to Smuts Barracks which housed the Berlin Armoured Squadron the Soviets were able to take a close look at the activities in the barracks. The prison was funded by the Federal republic of Germany through the occupation budget and the budget of the justice department in West Berlin. According to a newspaper article the costs from 1970 until 1983 were about 20 million DM. Until his death Germany and the Western Allies tried to release Hess for humanitarian reasons but the Soviets would not agree. On August 17, 1987 Hess comitted suicide. However some people do not believe that he comitted suicide but have a controversial theory of the British SAS killing Hess. 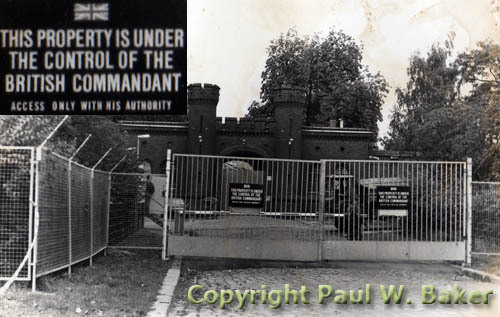 The US guard detail which served at the prison during August was pulled out and British guards took over the compound. In order to prevent the prison becoming a memorial for Neo-Nazis the prison was torn down in 1987. The rubble was spread in the North Sea. A new NAAFI shopping centre was built on the former prison grounds. The shopping centre was turned over to German authorities in 1994. This picture was taken the morning after Hess died. The barriers were put up to keep sympathisers away.